ADHD Psychologist Philadelphia | Therapist Marcy Caldwell, Psy.D. Marcy M. Caldwell, Psy.D. is a licensed clinical psychologist who specializes in the treatment and assessment of adult ADHD. Licensed Psychologist. Specialist in evaluation and treatment of adult ADHD. Practicing for over 15 years. 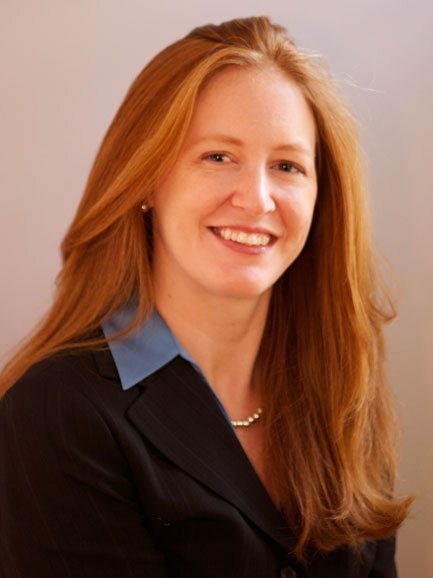 In addition to her private therapy practice, Dr. Caldwell is the director and chief psychologist at Rittenhouse Psychological Assessments, LLC as well as the senior assessment supervisor at Tuttleman Counseling Services at Temple University and Lecturing Professor at the University of Pennsylvania. She has also worked at Seabrook House, The JJ Peters Institute and Villanova University, focusing on therapy and assessment with late adolescents and adults related to topics of ADHD, learning disabilities, addiction, eating disorders and student success. My style is warm, collaborative and strengths focused. I use practical CBT techniques and strategies to target specific areas of concern while being sure to also respectfully and compassionately address the emotional and psychological aspects that may be making success harder to grasp. Using a highly individualized, clinically rich and comprehensive evaluation I map your cognitive and emotional strengths and weaknesses and then guide you in a process that utilizes those areas of strength to help overcome the hurdles in your way. My goal is for my client’s to fully realize their potential while also finding peace and a sense of wellbeing. To read more on my process, please also visit Rittenhouse Psychological Assessments, LLC. People with ADHD often know what to do, but have a hard time doing it. Medication can help with sustaining attention and energy. However, most adults with ADHD still struggle to meet their goals because they have difficulty getting started, organizing, prioritizing and staying on task. This is where I can help. I can pinpoint exactly what it is that gets in your way, strategize ways around those hurdles and then provide the accountability needed to keep you on task. ADHD is a performance issue and therefore concrete, performance-based solutions are necessary. However, these performance issues also have long-standing emotional ramifications including sadness, frustration, anger and low self-esteem. These emotional aspects of ADHD need to be addressed with warmth and compassion in order to assure that they don’t further impede progress. Many therapists work only with one aspect of ADHD treatment- either they focus on solutions or they deal with the emotional ramifications of the disorder. I have both the ability and the experience to effectively deal with both in a way that respects their impact and importance. I concentrate on hands-on techniques to help you find strategies to help your symptoms but I also discuss, process and address the emotions that come along with them. By working on both of these aspects of the ADHD picture you can find greater peace and success more quickly and reliably. Please click here to read more about ADHD Therapy. Contact me to schedule a free 20 minute consultation to see if therapy could be just what you need to help you manage your symptoms today. Alexei was born in Moscow, Russia. In 1991, his family immigrated to the United States and settled in Princeton, New Jersey. Alexei was fascinated with the world’s wisdom traditions from a very early age. This passion eventually led to graduate studies at New York University, which he completed in 2011. His contribution to the mental health field has included two years at the Young Adult Institute, where he counseled individuals on the autism spectrum and their families, one year at Holliswood Psychiatric Hospital and two years at Comprehensive Counseling, where he provided individual and family psychotherapy services. 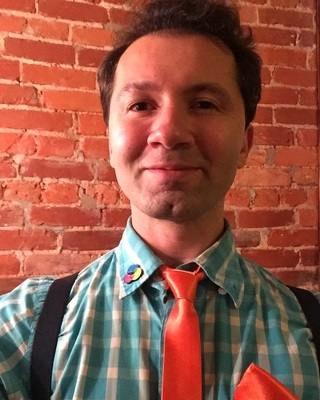 Following eight years in New York City, Alexei moved to the City of Brotherly Love and Sisterly Affection, where he has worked with Mainline Health’s Partial Hospitalization Program and Omni Health’s Outpatient Services Program and where he now works with Dr. Caldwell and in private practice. Alexei’s approach is grounded in the mindfulness tradition and modalities like Mindfulness-Based Stress Reduction, Dialectical Behavioral Therapy and Acceptance and Commitment Therapy. He finds that the mindfulness toolkit allows individuals to create a wider gap between stimulus and response, which enables them to choose actions in integrity with their values, priorities, goals and dreams. His approach is pragmatic and solutions-focused. Alexei works with his clients to help them create positive habits, routines and systems that allow them to live a life of excellence and joy, in service to themselves, their families and their community.